On 3 Sep 1812 "Samuel Basset of the Town of Butternuts in the County of Otsego", New York bought 100 acres in the southeast corner of lot 30 in Cincinnatus Township of Cortland County for $2501. 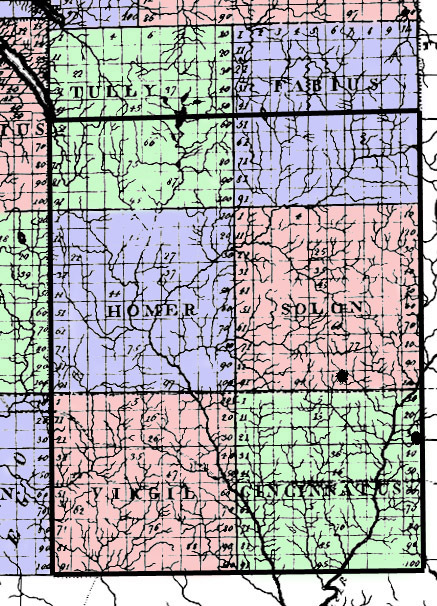 (This land lies east of Baldwin Corners Road 165 in the southeast corner of present day Cincinnatus Township, Cortland Co.) It is not certain that this was our ancestor. Given that he was born in 1795 he would have been only about seventeen years old at the time, which would have been rather young for him to have accumulated such a large sum of money. However, several pieces of circumstantial evidence suggest that this Samuel was our ancestor. Otsego County, New York does seem to be the place where our Samuel's family lived, although in 1820 they lived about 30 miles to the north of Butternuts. In addition, according to family tradition, Samuel's son Lewis was said to have been born in Oswego Co., New York, which is unlikely but the similarity between "Oswego" and "Otsego" suggests that there may have been discussion in the family about Otsego County as a place where the family resided. Cortland County, New York was a part of the Central New York Military Tract, which was set aside as compensation for veterans of the Revolutionary War. In the original survey, the area was laid out in townships ten miles square that were named for famous figures from Greek or Roman culture. These townships were subdivided into lots that were one mile square and numbered from one to one hundred from west to east in rows starting at the north side and going south. The original townships were later divided among counties and in many cases the townships themselves were further subdivided into other townships. 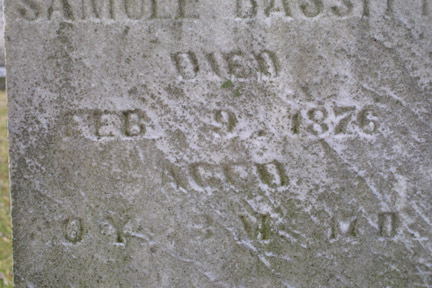 We can definitely place Samuel in Solon, Cortland Co., New York on 1 Jan 1820 when he paid $260 for 50 acres in the northeast corner of lot 96 there and was described as "Samuel Bassett of Solon"2. (This land lies just south of Hill Road in the southwest corner of present day Taylor Township, Cortland Co.) This location is only about six miles from the land bought by Samuel Basset in Cincinnatus, which lends further support to the idea that these two Samuels were the same person. Samuel Bassitt and Elsa Lewis (b. 23 Oct 179533) were married in about 1820. Given the uncertainty in the date of their marriage, the precise location cannot be known, although it is likely to have been Cortland County. 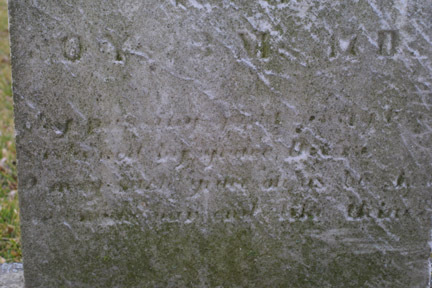 There is no Samuel Bassett listed in the 1820 New York census, but a Peleg, Jonathan, and Abraham Lewis are listed as living in Solon.4 Elsa was probably the daughter of Peleg Lewis and the 1820 census lists two females aged between 16 and 26 in his household. One of them could have been Elsa, who would have been about 25 at that time. 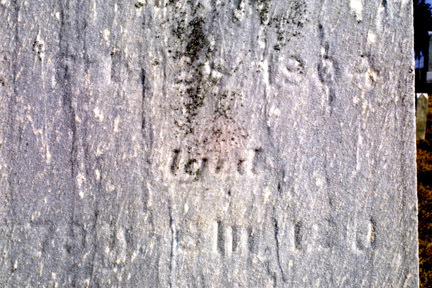 The names Peleg and Jonathan Lewis appear alongside that of Samuel Bassitt each time that Samuel moved in Ohio, so it is likely that either they were his neighbors in Solon, or that he bought land there to live near his in-laws. Samuel and Elsie's first two children were born during the time when they lived in Solon5: Laura on 16 Jun 18246 and Lewis on 10 Nov 18257. Their choice of the name Lewis is significant in several ways. Obviously it was Elsie's maiden name, but it may also have been the name of one of Samuel's uncles8. The name Lewis with that particular spelling has been given as a first or middle name to at least six of his descendants9. 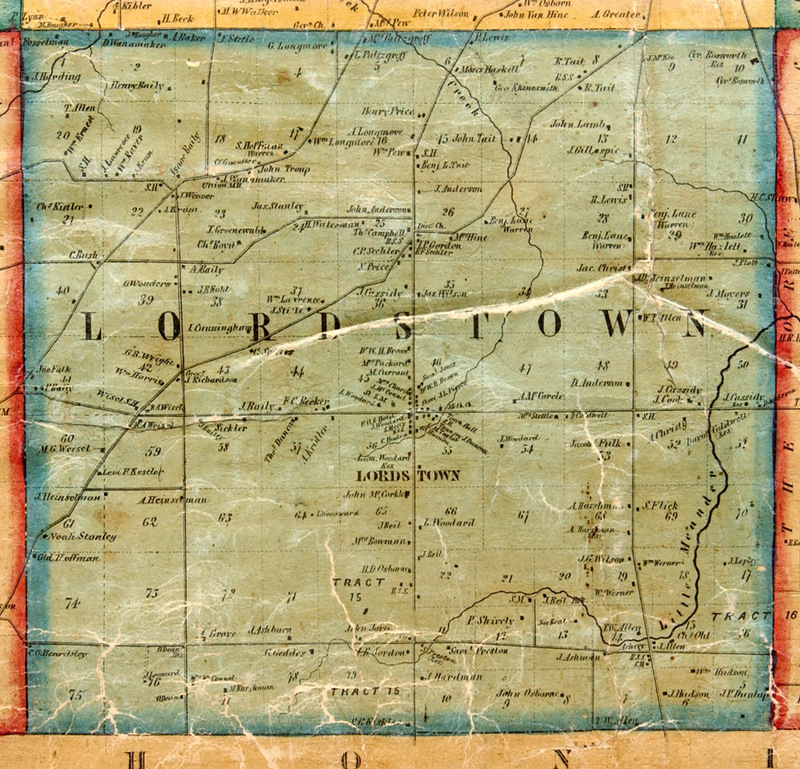 Map of Lordstown Township in 1856 (from Newton Falls Information Network, 1856 Map of Trumbull County Ohio). Note "H. Lewis" in lot 28. The "SH" nearby is the school house mentioned in the text. In about 1826, Samuel and Elsie and their family moved to Lordstown Township, Trumbull Co., Ohio, where they were reported to have lived north of the center of the township10. On 3 May 1827 "Samuel Bassit" and "Elsa Bassit" sold the 50 acres in lot 96 of Solon11. 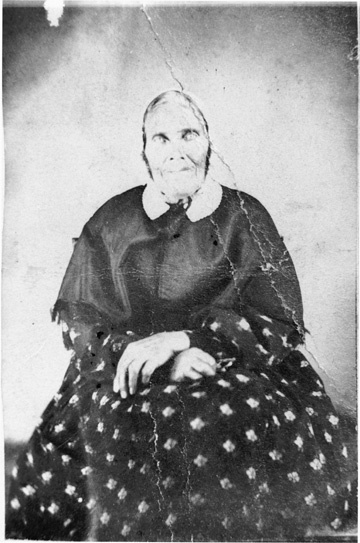 Their daughter Mary was born in about 1827. 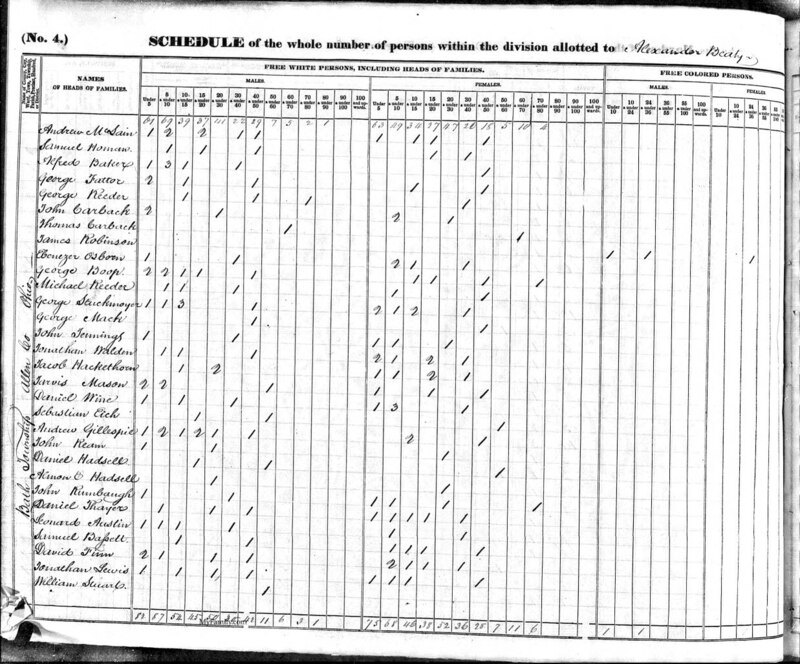 The 1830 census record shows a female under the age of 5 living with the family12 and a female aged 10 to 15 was also listed in the 1840 census. In Lordstown, their youngest daughter, Lavisa was born on 21 Jun 183213. In the 1820's northeastern Ohio was swept by a great religious revival known as "The Restoration Movement". Walter Scott, an evangelist and associate of Alexander Campbell, preached in the area in January 1828 and his fervor resulted in the formation of a number of congregations. On 20 March 1830, Rev. John Henry oversaw the formation of the first church in Lordstown at the log cabin school house on the northeast corner of David Lewis' farm on lot 28.14 This church became a part of the denomination that eventually became known as the Disciples of Christ. David Lewis was elected as a deacon and among the original members were Samuel and Elsie as well as several persons who were probably Elsie's relatives: Peleg, Fanny, and Rachel Lewis, and David Lewis and his wife. Also listed were Peter Snyder and his wife, and Betsy Snyder, people also probably associated with the Bassitts and Edgecombs. The Bassitt family remained associated with the Disciples of Christ over the next hundred years. In the early 1830's a number of residents of the Trumbull Co., Ohio area became interested in moving to Allen County in northwestern Ohio. In many cases, it can be seen that there were family connections among those who made this move. This was true in the case of Samuel and Elsie as well. John Lewis, who was probably Elsie's brother was living near the Bassitts in Lordstown in 1830. 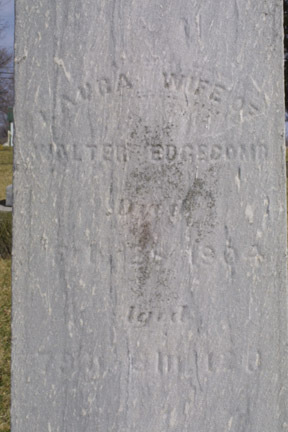 His wife, Fannie (Doud) Lewis was the sister of Betsey (Doud) Edgecomb, wife of Uriah Edgecomb, the first Trumbull Co. immigrant to Allen County. Thus Samuel and Elsie would have had occasion to hear reports from Uriah and Betsey about the prospects in Allen County when they visited with John and Fannie. 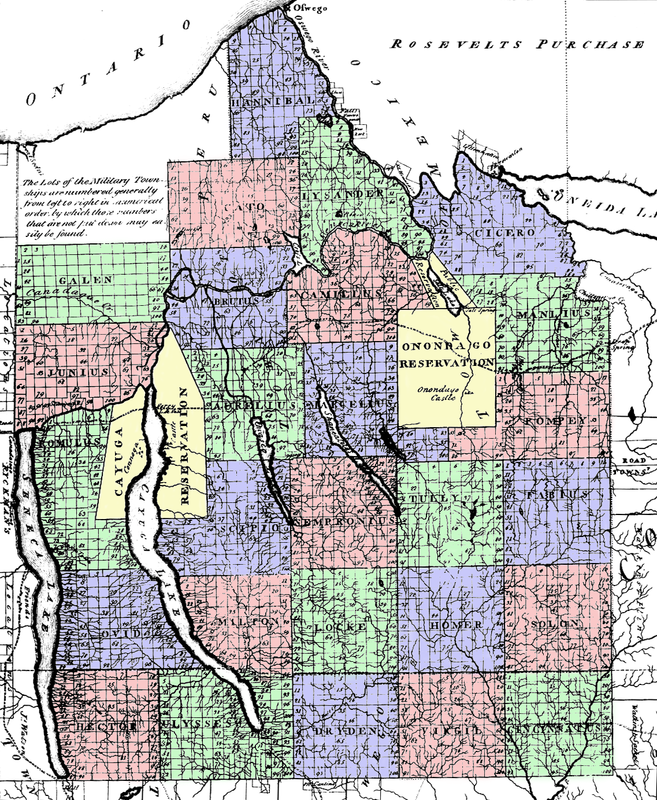 In 1834, Samuel purchased the west half of the northwest quarter of section thirteen, township three south, range seven east. This is the eighty acres southeast of the intersection of Bluelick and Thayer Roads in Bath Township. In order to finance the extension of the Miami Canal from Dayton to Lake Erie, the Congress put huge tracts of land in Northwestern Ohio up for sale and this land was part of that effort. At the time the family moved to this property in 1836 it consisted of Samuel who was forty one, Elsie, thirty nine, and Lorey, Lewis, Mary, and Lavisa, aged twelve, ten, about eight, and four respectively. At that time, Bath Township was a wilderness with only patches of cleared land and a few blazed trails. According to family tradition, they lived in a small log cabin on this property. A major task which probably took years was clearing the dense forest into fields for growing crops. 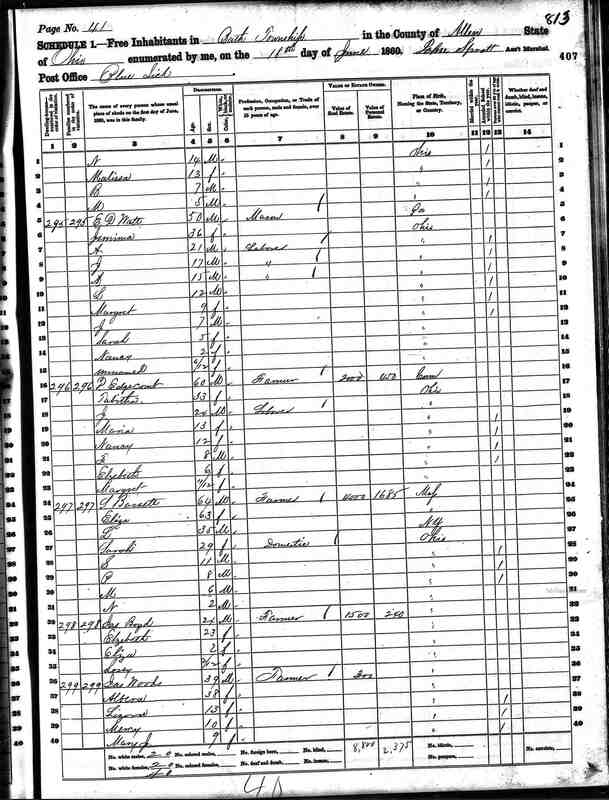 On 13 Nov 1840, at age 16 Laura married Walter Edgecomb, a son of Uriah and Betsey Edgecomb who lived nearby. This was the beginning of a close relationship between the Bassitt and Edgecomb families that would continue for years. The early 1840's were a period of financial difficulty for Samuel. In May of 1841, he mortgaged his farm to Thomas Kennedy for $60. On 25 March 1842, Samuel and Elsa sold 40 acres of their farm. This transaction was witnessed by Mary.15a Records show that Thomas Kennedy foreclosed on his mortgage and on 18 Oct. 1842 he "received debt and costs by purchase of land. "16 Presumably the Bassitts continued to live on the farm despite the loss of ownership. 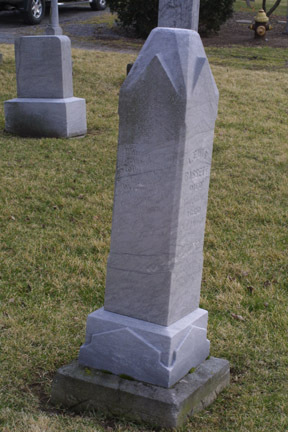 By family tradition, Mary was said to have died at age 17 so she probably died about 1843-44. On 23 Dec. 1847, at the age of 21, Lewis married Sarah Edgecomb who had just turned 16, and was another child of Uriah18. On 7 April 1848, Lewis bought the southwest quarter of the southwest quarter of section twelve in Bath Township from the State of Ohio for $107.20.19 This 40 acre plot was just north of the family homestead on the other side of Bluelick Road and was part of the land that was granted to the State of Ohio to help finance the Miami-Erie Canal. On 27 June 1850, one week after her eighteenth birthday, Lavisa married Thomas Robinson Ward. According to family tradition, they moved to Wisconsin. However, by the 1860s their family was living in Troy Mills, Linn Co., Iowa. During the 1850s and 1860s, Lewis and Samuel bought more tracts of land in section 12 to the north of the original farms. Like most other residents of Allen County at the time, the Bassitts were ardent Republicans and Lincoln supporters. After the Civil War broke out, they had a personal stake in the conflict. One of Samuel and Elsie's grandsons through their daughter Laura, Lewis Alfred Edgecomb was killed in July of 1864. So there was undoubtedly great trepidation when Lewis' oldest son Samuel, Jr. enlisted in the 27th Ohio Volunteer Infantry in 1864 at the age of 15. We know that Samuel and Elsie followed the conflict carefully through the letters that Sam sent them. By the end of the war in 1865, Samuel Sr. was on his deathbed. When Lincoln was assassinated on April 14, his family never told Samuel. He was such a "red hot" Republican that they were afraid that it would disturb him too much.23 The precaution did not help because he died on April 16 and was buried in the Sproat Cemetery on Wolfe Road24. Elsie continued to live with Lewis and his family until her death on 9 Feb 187625. 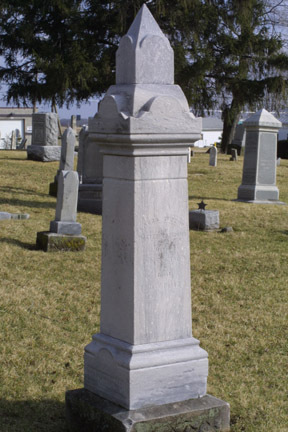 Originally the family had planned to bury her next to Samuel. However, due to bad weather, the stream to the south of the Wolfe Rd. cemetery was flooded and it was necessary to bury her in the Old Beaverdam Cemetery23. 4. 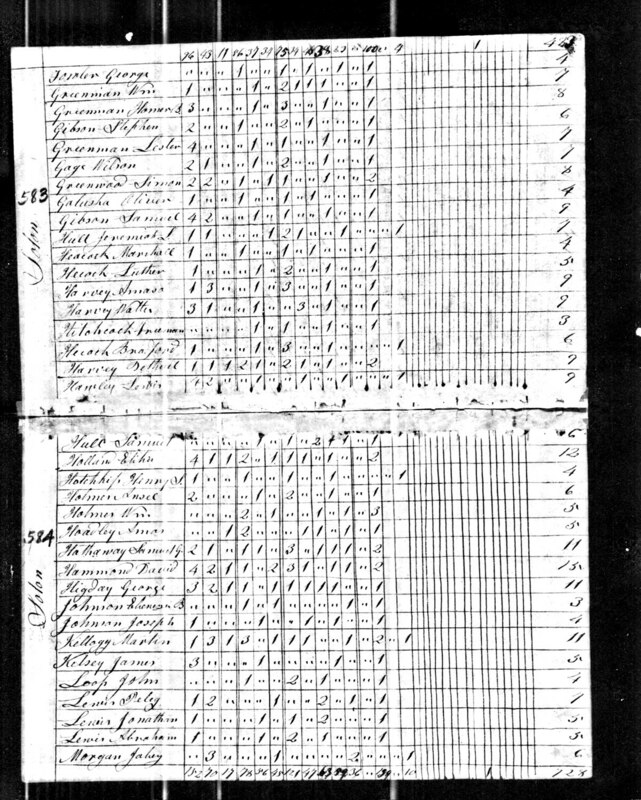 U.S. Census of 1820 for Solon, Cortland Co., NY, p. 584. 5. In "History of the Edgecomb Family back as far as the 7th generation" [pg. 2] [handwritten original pg. 1 pg. 2 pg. 3] by Lansil Edgecomb (b. 1869), Pennville, IN 16 Sep 1938, he gives Otsego Co., NY as the birthplace of his mother, Laura. 9. Lewis Ezra Bassett b. 27 Jan 1871, Lewis Napoleon Bassett b. 20 Aug 1874, Lewis Harrison Bassett b. 8 Oct 1888, Lewis Everett Bassett b. 3 May 1923, Dennis Lewis Bassett b. 26 Jan 1948, Christopher Lewis Bassett b. 9 Dec 1978. 10. History of Trumbull and Mahoning Counties, Vol. 2, Cleveland, H.Z. Williams & Bro. 1882, p. 536, p. 537, p. 538. 11. 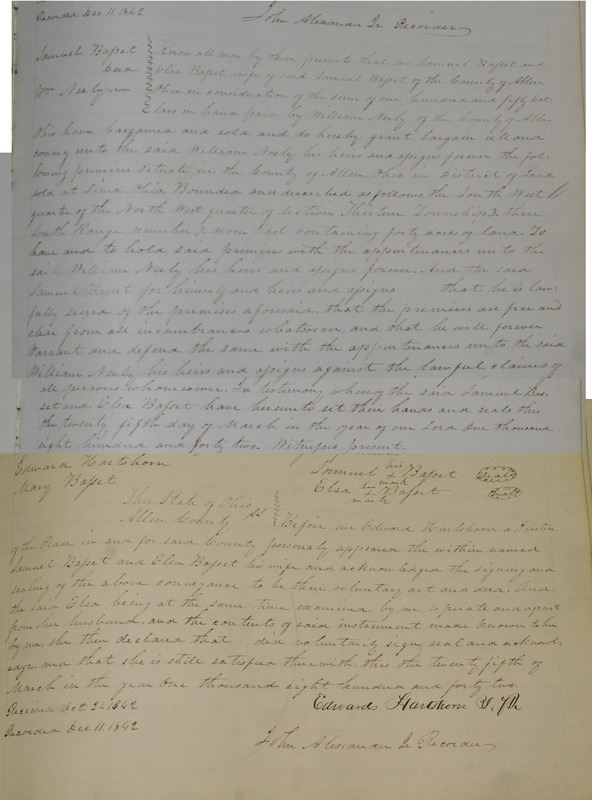 Land sale: Samuel & Elsa Bassit, 3 May 1827, Solon, Courtland Co, NY. 13. 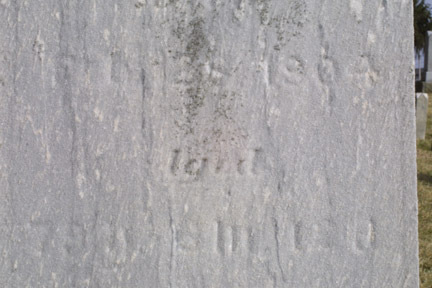 Tombstone of Lavisa Ward, Lower Spring Grove Cemetery east of Troy Mills, Iowa. Died Feb 10, 1862, aged 29 years, 6 months, 20 days. 15. "Personal Reminiscences of Matthew Allison" in R.H. Harrison, Atlas of Allen County, Ohio, 1880 (Philadelphia), p. 27. 15a. Allen County, Ohio Deeds, Vol. I, p. 277. 16. Allen County (Ohio) Equity Journal B, p. 64. Allen County Ex. Doc. A, p. 64. Allen County Judg. Vol. D., p. 62. (from Abstract of the Title of Philo Bassett). See also Allen County (Ohio) Mortgage Record Vol. H, Pg. 622, 1841 May 1 (also from Abstract). 18. 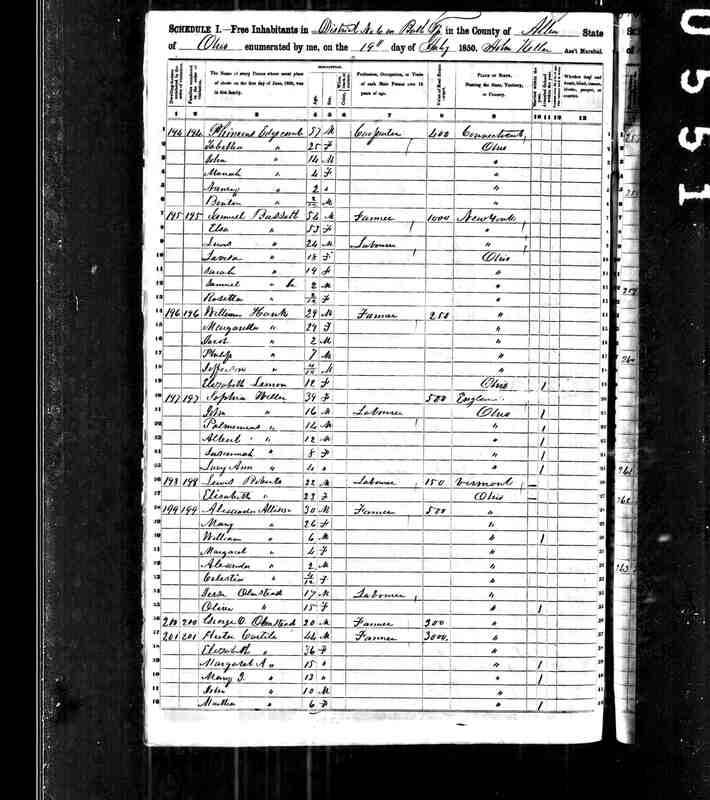 Allen Co., Ohio, Marriage Records No. 2, p. 192. 20. 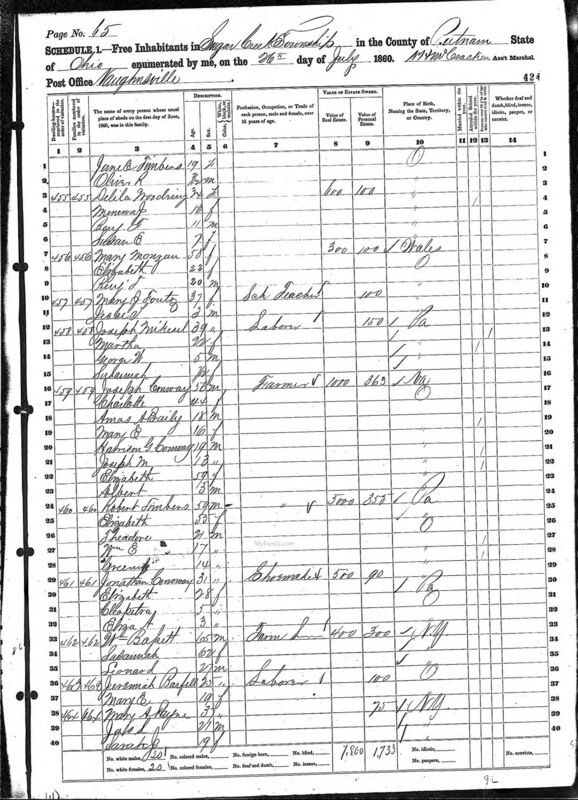 U.S. Census of 1860 for Sugar Creek Twp., Putnam Co., OH, p. 424. 23. Interview of James H. Bassett by Steve Bassett (Baskauf) on 27 March 1977. 24. 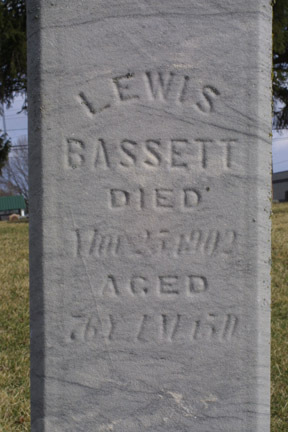 Tombstone of Samuel Bassitt, Sproat Cemetery, Wolfe Rd., Bath Twp., Allen Co., OH. 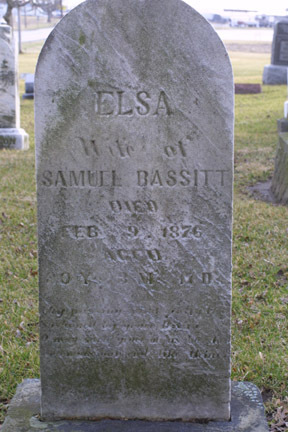 "SAMUEL BASSITT DIED April 16, 1865 AGED 70 Y. 9 d"
25. Tombstone of Elsa Bassitt. Dates enhanced.